Court documents reveal federal prosecutors filed criminal charges against WikiLeaks founder Julian Assange in late 2017, NBC News reports, more than two months earlier than the indictment disclosed when he was arrested last week. But charges for the same offense were actually filed in secret on December 21, 2017, in federal court in Alexandria, Virginia. The 26-page affidavit accompanying the charges listed what it said were hundreds of online exchanges between Assange and Chelsea Manning, the former Army private who provided hundreds of thousands of government documents to WikiLeaks, many of them classified. 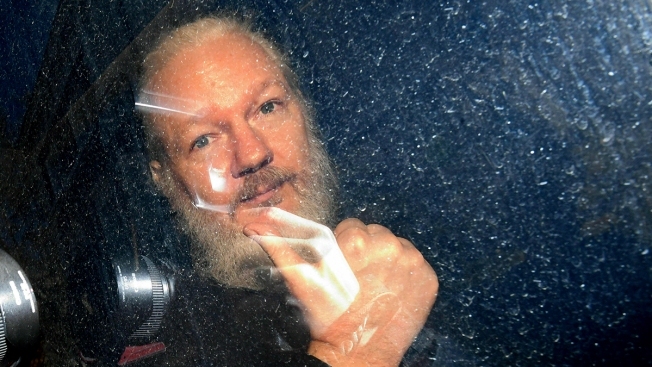 Despite filing the criminal charges, the Justice Department sought a grand jury indictment only a few months later in order to make a stronger case for extradition in the event Assange was arrested, an administration official said Monday.